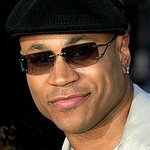 The 11th annual Chrysalis Butterfly Ball will be held in Los Angeles this weekend, with LL Cool J among the honorees. Hosted by Seth MacFarlane, the Honorary Committee includes Ice Cube, Salma Hayek, Darren Star, Brett Ratner and Russell Simmons, and Rebecca Gayheart-Dane will act as Co-chair. The event takes place on June 9, at the private Mandeville Canyon estate of Susan Harris and Hayward J. Kaiser. Chrysalis is dedicated to helping economically disadvantaged and homeless individuals become self-sufficient through employment opportunities. It currently helps more than 2,000 individuals a year change their lives through jobs.